Kent Paranormal was founded in 2009 by a previous member of Thanet Ghostwatch. Since then Kent Paranormal has investigated many locations with various other Paranormal groups and teams investigating what has fascinated many people throughout the years. 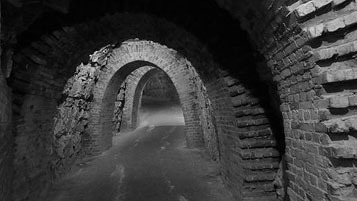 Kent Paranormal has recently investigated sites which have never been investigated before through membership of The Ghost Club in and around Kent. Kent Paranormal has an active page on Facebook and a PHPBB board with various articles and interesting accounts of the Paranormal. Current and previous investigations carried out are listed in the investigation link on this site and on our Facebook page. Kent Paranormal will be attending a paranormal investigation at Fort Amherst on the 15/09/19. Fort Amherst in Medway, South East England, was constructed in 1756 at the southern end of the Brompton lines of defence to protect the south-eastern approaches to the Chatham Dockyard and the River Medway against a French invasion. Part of the site chosen included a chalk pit with a number of caves. These caves were extended between 1776 and 1805 to provide an underground labyrinth of tunnels, protected underground gun positions and protection in the event of a siege. The tunnels are well lit and give you a sense of security, but be warned that when the lights go out this feeling soon changes. Most parts of the Fort are so dark that you cannot see your hand in front of your face.